The biggest downside to retirement is boredom. Retiring suddenly means filling a 10-hour vacuum every day if you worked a standard 40 hours a week and had a standard painful commute. I was admittedly bored my first year in retirement, even though I had Financial Samurai to connect with the rest of the world. I’d be done writing and responding to comments and e-mail by 10:30 am every day and not know what to do with myself the rest of the day. Some say retiring early cuts years off your life due to a lack of purpose. I can see how this could be true for people who just loaf around day after day and stay sedentary. Others say retiring early can actually increase your lifespan, especially for those folks who are financially secure and fill their days doing fun activities and/or part-time work that they really enjoy. Take a look at the below chart, which is based on an actuarial study of the number of pension checks sent to retirees of Boeing Aerospace. Those who retired early lived significantly longer than those who retired at a more traditional age of 65. Can you imagine working until 65 and then dying less than two years later? How depressing! Source: Optimum Strategies for Creativity and Longevity By Sing Lin, Ph.D. Similar data was also found at Lockheed and Bell Labs. So what were the causes identified in the study? Those who worked longer and retired later put too much stress on their aging minds and bodies, developing serious stress triggered health problems. On the flip side, those who retired early were typically better off financially and spent more time finding a good balance in managing various aspects of their life including health, activities and fulfilling part-time work at a leisurely pace. I’ve spent enough time with retirees to know that following the path of least resistance continues once you no longer have to work. That path tends to be simply staying at home, watching TV, and doing nothing. Those folks often find their retirement lives fall into a rut as they let their days run together and lack a sense of purpose. This is why I think travel blogging is the ideal activity for a more rewarding retirement. Ever since I began traveling internationally as a kid, I noticed roughly 70% of travelers are over the age of 60. Another 20% are students and the remaining 10% are made up of normal working people on their precious time off. Somewhere in the 30% lies the ubiquitous vagabond without a job or family. They are nomadic travelers who never seem to run out of money. As I approach middle age, I’ve become fully aware that travel will be much different when I’m older. No longer will I be able to walk for eight hours straight around a new and exciting city. 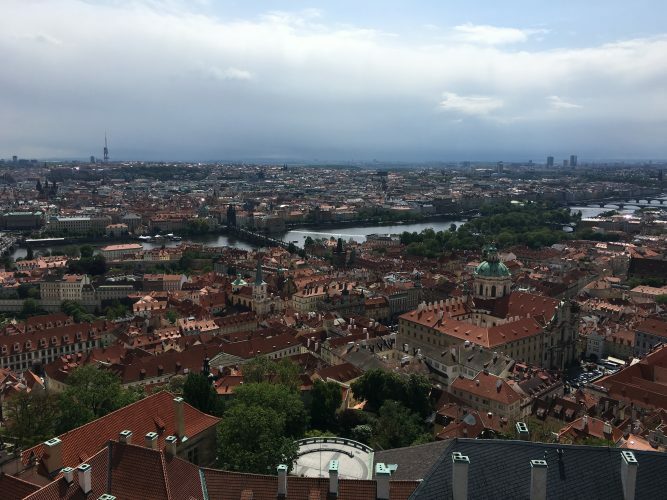 Climbing a hundred flights of stairs to reach the top of Prague Castle will be an impossibility. There’s no elevator and the spiral staircase is quite narrow. What a shame it would be never to see Prague from a bird’s eye view. Thus, I’m glad I made the trek up to the top when I was there last year. It’s important to aggressively travel BEFORE your knees start swelling and your lungs lose half of their capacity. Feeling the uneven pavement on an arthritic hip can’t be a pleasant experience. We appreciate and enjoy travel more when we’re mobile and pain-free. Unfortunately, it’s hard to fully appreciate travel when we are students. And when we are saddled with responsibility as 25 to 50-year-olds, it’s hard to spend a lot of time off in one place because we’ve got a budget and vacation policies to adhere to. 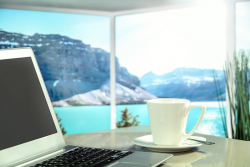 Travel blogging, however, helps creates that ideal situation through mindfulness. The best way to travel for free or for less is to start a travel blog. But the free perks and tax savings shouldn’t be the main reasons for starting your own version of The Lonely Planet as a retiree. You should have all of your finances in order already. The main reason to travel write is to get out of the house for longer stretches of time and record all your experiences in depth so that they can really sink in and grow with you over time. The best time to write is while you are traveling and not after you’ve returned home. Otherwise, you’ll forget about all the little nuances of each day. How many churches will you visit before they all start to look the same? Will you be able to remember the names of every museum, restaurant, and attraction you visit or the exotic flavors of all the amazing dishes you ate several weeks later? Probably not. 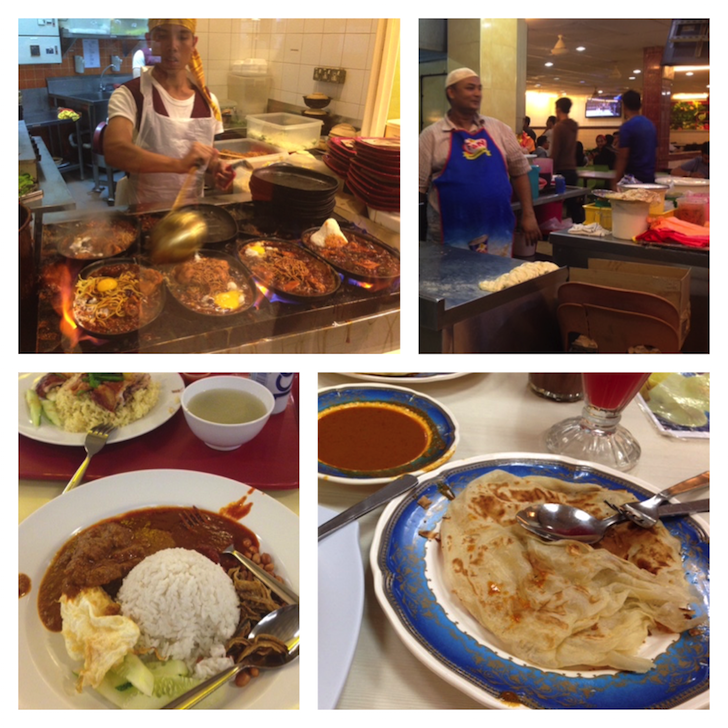 The food in Malaysia is unbelievably flavorful and cheap. The reason why I’ve got such a strong memory of my childhood is because I always moved around every 2 -4 years to a different country. My surroundings were always changing and I got to experience multiple cultures, cuisines and languages. Too bad there was no internet access, blogging, or digital cameras back then that I could have used to record everything. But now we’ve got all of that and more! I recommend everybody take full advantage of recording their lives through words and pictures. The older you get, the more you’ll want to slow down time. After all, if you are destined to live until age 100, the 51st year of your life goes by twice as fast as the first year of your life. Travel blogging helps put the breaks on time so you can more mindfully recount and relive your precious moments. Yearbooks and picture albums are relics of the past. Not only can we publish our pictures and videos digitally, we can also put meaning behind them. It’s so interesting our great, great grandchildren will be able to see how we lived across multiple decades in high definition. I’ve always wondered what more was behind the delicate black and white photos of my parents and grandparents. I would have loved to hear their voices and read their thoughts as young men and women. If you’re bored in retirement, I recommend planning a trip to a new country. Every mundane thing you’ve taken for granted in retirement will feel new again. Take lots of pictures and videos, and write down everything you can remember after each day’s experiences in a blog. The internet is the greatest tool we have to share our experiences and pass down our memories to future generations around the world and the people we care about the most. I plan to give them something worth talking about. Start Your Own Website – Become a branding rockstar and make more money by creating your own website the easy way with Bluehost. Get a free domain, reliable hosting for only $2.95/month and 24/7 support. Whatever your interests, focus on building your skills and develop your own unique niche! I’ve been blogging since 2010 and it has allowed me to break free from the corporate grind to travel, work from home and do so many more fulfilling things with my life. There’s not a day that goes by when I’m not thankful for starting this site. 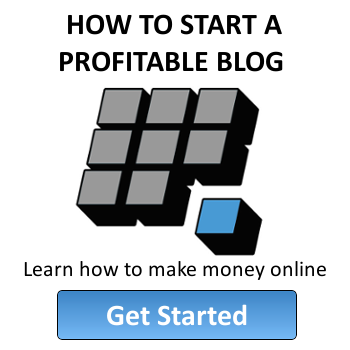 Check out my step by step guide on how to start your own blog. Break free! If you’re burnt out of your day job, believe that you have options and can turn your career around for the better. I didn’t believe I could escape the grind for the longest time, but fortunately I wised up before stress destroyed my life. I never would have thought I could negotiate a severance package and get paid to leave a job I grew to hate, but I did! 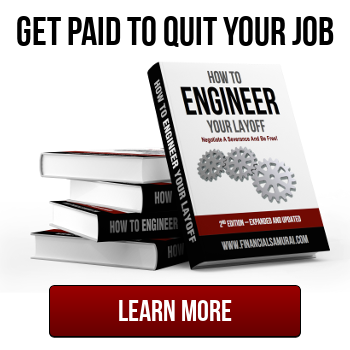 Learn how you too could get paid to leave your job like I did and open your eyes to new opportunities. Untemplaters, do you keep a journal or have a personal blog? How do you plan to make sure your future generations know who grandpa or grandma is? Who will remember you when you’re gone? How will they remember you? Sam is the founder of Financial Samurai, America's fastest growing personal finance site. We believe in reaching financial independence sooner, rather than later. Slice through money's mysteries! 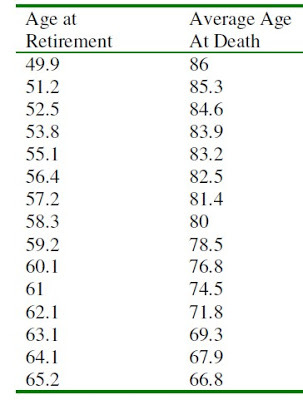 That’s a horribly depressing chart for people who figure they probably have to work until they’re in their mid-60s given that pensions and such are a thing of the past for most people.